Consider yourself lucky. If you are reading this you most likely not only live in a society blessed by a functioning legal system you also probably live in a society in which that system makes an attempt to fairly and efficiently deliver justice, especially in the case of capital punishment. For most of history rather than capital punishment being focused on ending life it was focused on drawing it out long enough that the victim would be put through as much hell-on-earth as possible. So, in order to help you count your blessings we are bringing you 25 of humanity’s most brutal methods of execution. An ancient Persian method of execution where a person is stripped naked and placed in a tree trunk with only the head, hands, and feet protruding. They are then forced fed milk and honey until they develop a severe case of diarrhea. All of there exposed skin would then be covered in honey to attract insects while they were left floating in a stagnant pond. As the person’s feces accumulated, the insects it attracted would begin to eat and breed within his/her skin which would become increasingly gangrenous. Death could take over 2 weeks and was likely the result of starvation, dehydration, and shock. Conceived in the late 1700′s this was one of the first methods of execution created under the assumption that capital punishment was intended to end life rather than inflict pain (successor to #11). 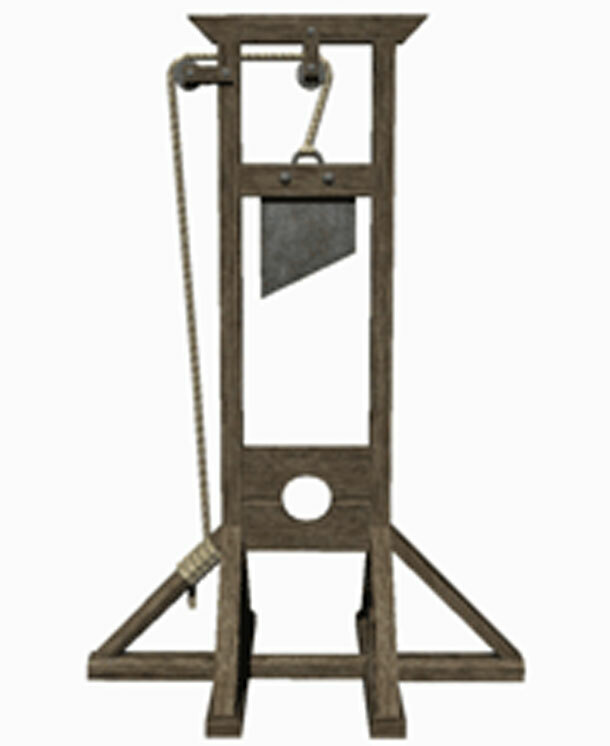 Although it was specifically invented as a human form of execution it has been outlawed in France and the last one was in 1977. 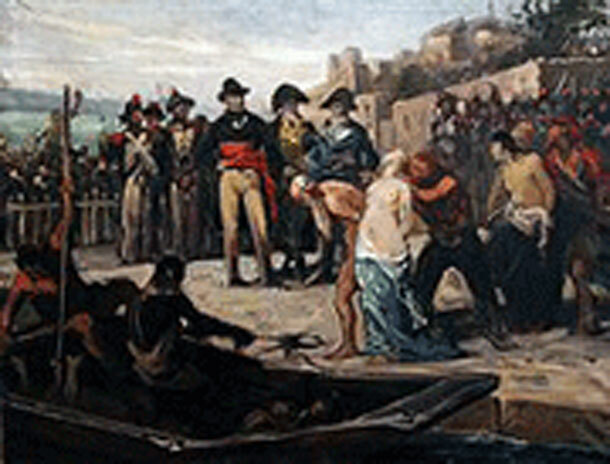 A strange form of execution allegedly practiced in France it involved the tying of a man and woman together and then both of them being thrown in a river to drown. A method of execution preferred by the American mafia, it was similar to Republican Marriage in that it involved drowning but instead of being tied to someone of the opposite gender, your feet were placed in cement blocks. 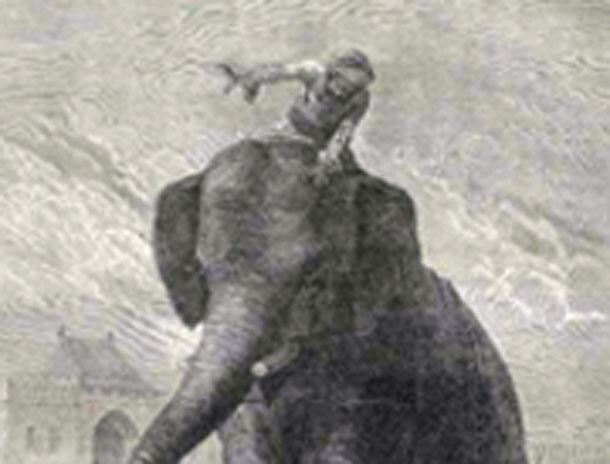 Employed heavily in southeast asia, the elephants were often trained to prolong the death of the victim. Many times this method was used in order to show that the ruler is even in command of nature.